Celebrate the 15th anniversary of the hit Broadway musical, Wicked with Barbie! Glinda is beautiful, ambitious, and very popular. 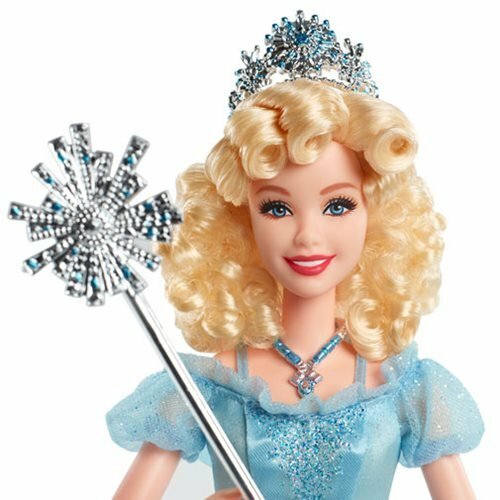 The Wicked Glinda Barbie doll wears her signature Bubble Dress featuring scallop detail edged in shimmering blue glitter and comes with light blue heels. A tiara is placed atop her blond curls accented with a necklace and her scepter accessory. 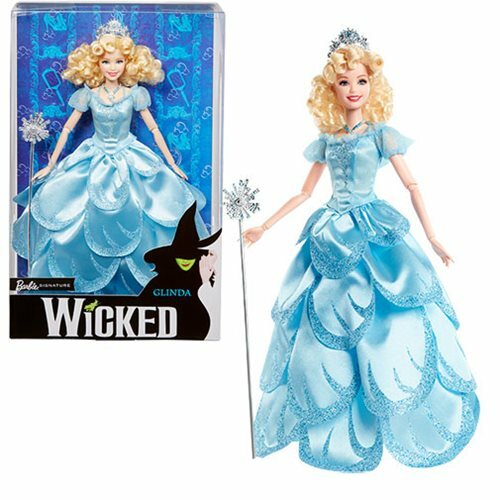 Captures all the excitement of Wicked with this Wicked Glinda Barbie Doll! Includes fully posable doll, tiara, necklace, scepter, doll stand for display, and certificate of authenticity.